My blog is about style choices, trends, observations, tips, as well as general fashion and beauty talk. I decided to expand the blog to cover men’s styles as well. Alexis of www.lexlovescouture.com recently wrote a post about how easy men have it when it comes to putting together an outfit. I agree with her but I would still like to cover styling for men. This post is called Manly Monday. I will post it the first Monday of every month unless there is a need or want for more posts. I might be convinced to write this weekly. My first topic is the man bag. Men don’t carry as much as women, in fact while running errands and going out men can make do with a wallet and a cell phone. I rarely travel with just those two things. I need to be prepared; some friends call me McGyver because of my bag contents! The main reasons men need a bag: for work, for the gym, for travel, for baby items, and for school. 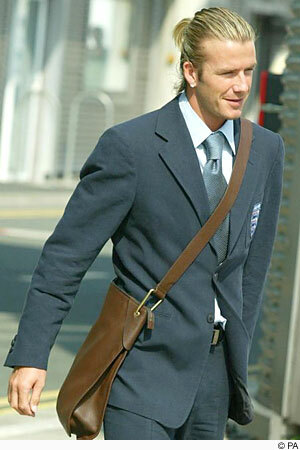 Students tend to use a backpack which makes sense but I have a problem with men wearing the back pack with a suit. 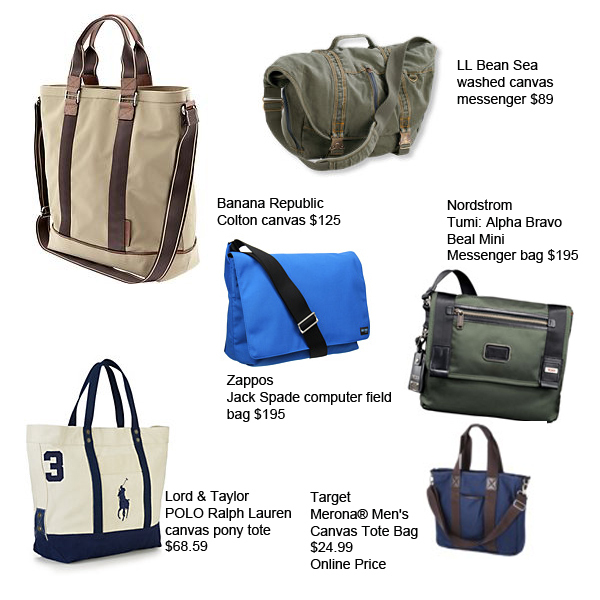 When using a bag for work or travel there are many ways for men to lose the backpack and upgrade to a nicer bag. I shopped online at Nordstrom, Lord & Taylor, LLBean, Target, and Banana Republic. These bags are good for the office. 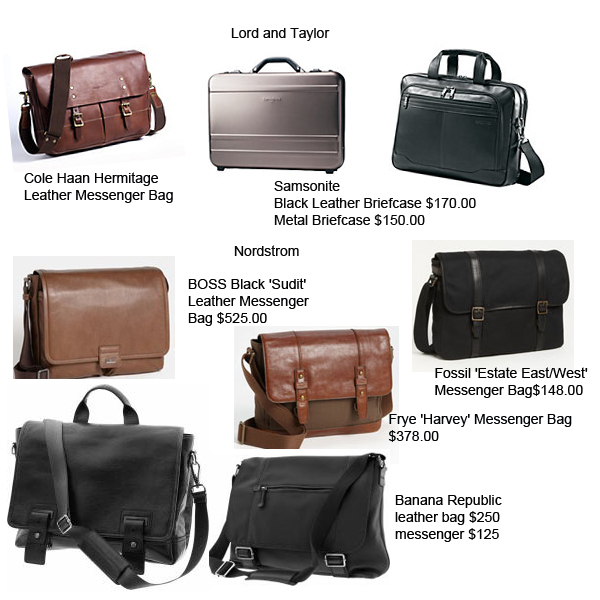 Here are some casual bags for travel, etc. Doesn’t this bag look better than the backpack? 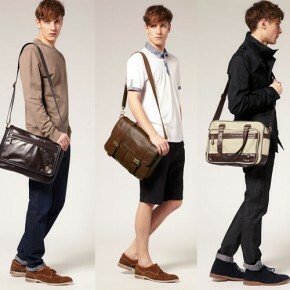 This picture is from a blog about the man bag. Check it out here. You didn’t mention another ( and I think most important) reason for a man to carry a bag: As a fashion accessory/statement. I love my collection of man bags. I can’t remember the last time I went out with just a wallet and mobile phone…. You are right, that is another reason! *discreetly places backpack in the back of the closet* A man bag is so much more functional then a backpack. All of those compartments are too small. However I lose everything my man bags, so maybe I need a backpack. Men in Boston are notorious for carrying backpacks! Just Dre: You are right! A lot of men in Boston carry the backpack. I liked you idea of a vintage styled backpack if you are going to carry one.